We have started making our 2019-2020 ski season plans! We expect soon to be able to share with you the winter holiday packages we are preparing for you skiers and riders out there. 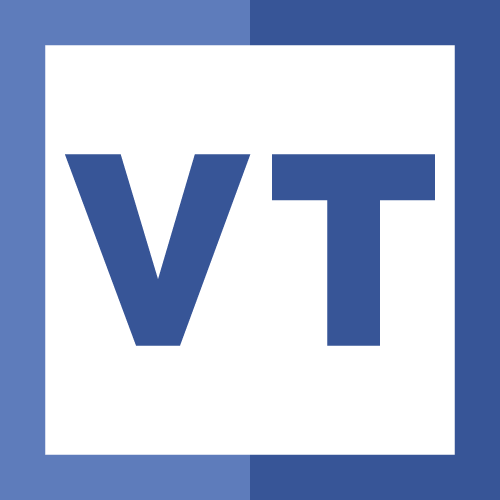 With a history in the field of over 25 years, Varianos Travel is the undisputed leader in organizing ski and snowboard holidays from Cyprus. 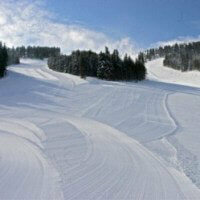 Have a look at our irresistible ski and snowboard destinations and contact us. 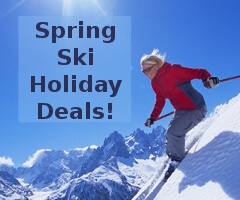 We aim to offer you an easy and quick way to arrange your ski holidays at competitive prices! The biggest news for the 2019 winter season came from the reintroduction of Livigno in Italy as a ski holiday destination from Cyprus. Back after a four year hiatus we ran a very successful ski group trip in March and can arranged other dates on request. We anticipate similar offerings for 2020. Bansko, has another major part of the highway from Sofia just finished and the transfer now takes about 30 minutes less. The trip from Bulgaria’s airport to the ski resort now takes less than two and a half hours! Our package holidays to Bansko, Bulgaria offer some excellent values fully reflecting the discounts we get from our partners and the best possible air fare deals we can get. 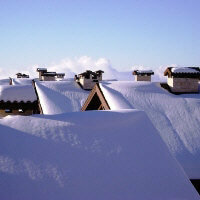 In Bansko we are keeping the same hotel line up, focusing on our five star hotel range. Borovets ski resort in Bulgaria has recently received a multi million infrastructure investment increasing its artificial snow capability, additional night skiing runs and facilities improvements. A brand new 6 person state of the art ski lift was installed for the 2019 season, increasing both speed and capacity and reducing wait times. We feel that the resort now is an even more worthy ski holiday destination that skiers and snowboarders from Cyprus should consider. Borovets is an easily accessible resort being only an hour’s drive from Sofia airport. All the hotels we use there are true ski in, ski out hotels making your holidays more enjoyable. Hotel Rila, one of our favorite hotels in the ski resort has had an extensive renovation making stays there even more enjoyable. Our original and very popular ski destination, Mzaar, which is just above the Faraya village, in Lebanon is also available and the best option for a quick ski or snowboard trip from Larnaca. The cozy three star Merab Hotel and the luxurious Merab Suites are ready to welcome you as is the five star Intercontinental Mzaar. We have spared no effort in developing these holiday packages for you, the skiers and snowboarders of Cyprus and hope this will be shown when you ski or ride down the slopes of our favorite ski resorts. Again this year we have received great incentives for early booking discounts from hotels in Bulgarian ski resorts, especially for seven night stays. We are making these special offers available to you and urge you to take full advantage of them by planning your ski or snowboard trip early. As you might know if you are have used our services in the past, we are very proud of the fact that Varianos Travel, year in and year out, is the leading travel agency in organizing ski trips from Cyprus. We are doubly proud of the fact that we are the tour operator that has been dealing the longest with ski tourism in Faraya and Mzaar in Lebanon offering ski holiday packages there since 1995. Our offers these days reach well beyond Cyprus. What makes us truly happy however, is not just for the number of fellow Cypriot skiers we send each year on a skiing holiday to the slopes of Lebanon and Bulgaria, but the fact that we see our customers return to use our services as friends. We feel the recipe for this success is that we offer you, our valued customers, tailor made ski holiday packages that fit your needs in terms of hotel accommodation, budget and length of stay. Please browse our site to view the hotels we offer for our ski trip packages to Bulgaria’s finest and very affordable resorts of Bansko and Borovets and to the highly convenient for Cyprus’ skiers ski resort of Mzaar next to Faraya in Lebanon. Call our Direct Ski Line at 22680500 for more information or to email us to book your next skiing holiday with the certainty that our experience in winter holidays will be to your advantage.